Spider Surprise! Cake Stand and Cupcake Wrappers take center stage! 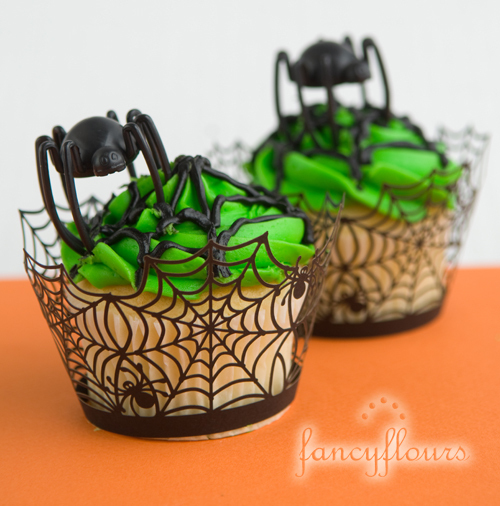 Cakes and cupcakes take center stage with Spider Web Wrappers for Cake Stands and Cupcakes. Give your cupcakes a costume this year- simply put each cupcake in a wrapper, add sprinkles or a cute pick and your cupcakes are ready make smiles! Perfect for a child’s party and adults too! 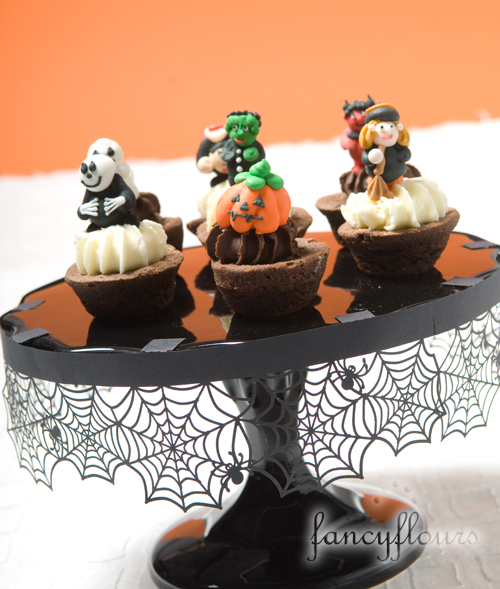 Use cake stand wrappers to give an ordinary cake stand a reason to be displayed as the focal point at your Halloween gatherings. Cake stand and cupcake wrappers are available in spiderweb, autumn leaf, holiday snowflake and many other designs to suit the season- check out the entire line and place an order at: http://www.fancyflours.com. 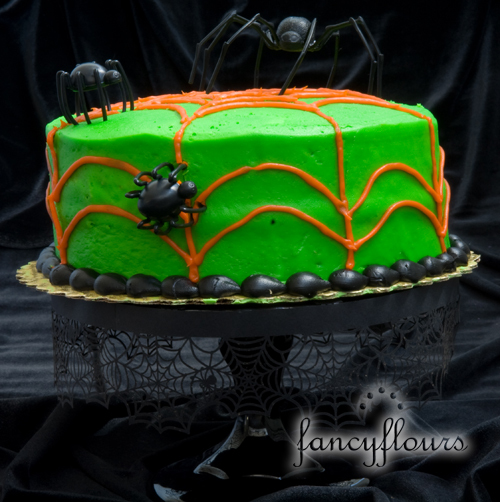 This entry was posted in Halloween Baking by Fancy Flours. Bookmark the permalink. Oh, wow, these are fabulous! I just LOVE those wrappers! !